Welcome to Istanbul and the city spanning two continents. You will be met at Istanbul Ataturk airport today and transferred to your hotel. The rest of the day is yours to explore this remarkable destination at your own pace. The city of Istanbul was founded in antiquity and ancient empires have left their mark. Today’s tour includes visits to the glorious Blue Mosque and Byzantine Hippodrome, known as Sultanahmet Square. Other highlights are Hagia Sophia Basilica, the former cathedral over 1,000 years old and Topkapi Palace, once the lavish home of Sultans. A morning departure for Gallipoli peninsula, filled with memorials and a museum devoted to the events of 1915. 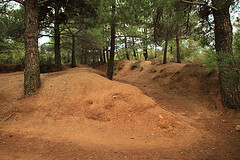 Your tour visits Anzac Cove, followed by a trek to the memorials at Lone Pine and Chunuk Bair. The Nek and original trenches at Johnston’s Jolly are included. This morning, visit the ancient city of Troy, where excavations began in the late 1800s before taking the scenic coastal road to Pergamum. 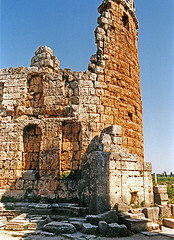 Here you will see the well–preserved Asclepeion, theatre and temple relics before continuing to the port of Kusadasi, a resort town since antiquity. This morning depart for the brilliant white lime cascades of Pamukkale (Cotton Castle in English). 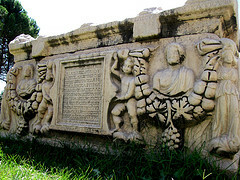 Nearby, at the Roman health spa of Hierapolis you wander through the intriguing Necropolis and enjoy a dip in the warm mineral waters amongst ancient fallen columns. 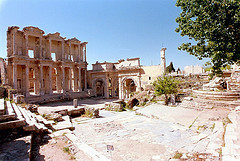 Explore the ruins of Ephesus on an enlightening guided tour. Its 2,000 year old marble streets lead the way to Hadrian’s Temple and the renowned Celsus Library. The Temple or Artemis is next, then The House of the Virgin Mary. While away the afternoon in the wine-growing village of Sirince. 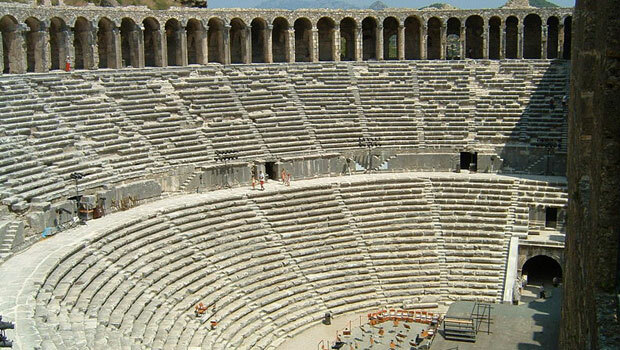 En-route to Fethiye today visit the archaeological wonder of Aphrodisias. These marvellous ruins rival Ephesus and include the Temple of Aphrodite with dazzling white marble and a vast, almost intact amphitheatre. 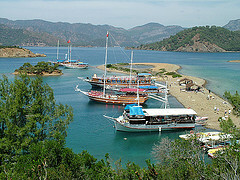 Later continue to the beautiful Mediterranean town of Fethiye. Today you have the option to relax on a day cruise around the 12 Islands of Fethiye, exploring hidden natural harbours and long deserted shipyards. Alternatively, experience a genuine highlight on an optional day tour to Saklikent Gorge, Turkey’s longest and deepest canyon. Continue your journey along the Turquoise Coast towards the city of Antalya. Take a break in the deserted Greek village of Kayakoy to visit the ghost town museum, build where the ancient city of Carmylessus once stood. Two magnificent sites await you today: Perge, a spectacular Greco-Roman city and Aspendos, an ancient treasure housing the world’s best-preserved Roman Theatre, still in use today. An evening walk through the scenic streets of this old port is well worth the effort. Journey to Konya and visit the revered Mevlana’s Masoleum, holiest shrine of the mystical Muslim sect (Whirling Dervishes). Break this afternoon’s journey at Sultanhani Caravansarai (the largest of Anatolia) along the old Silk Road. 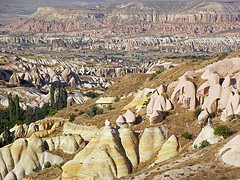 Marvel at the lunar landscapes of Cappadocias on a fully guided tour visiting Byzantine era Uchisar Castle and UNESCO World Heritage Goreme Open Air Museum. Later, stop at a traditional carpet village to learn how carpets are hand crafter and what determines their value. Today spend an enchanting morning on an easy trek through the wildly beautiful Ihlara Valley. 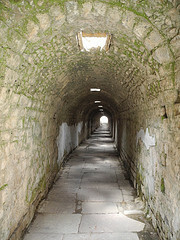 This afternoon explore the famous underground city of Kaymakli with its many levels. Make an early morning departure for the nation’s capital, Ankara. Here you will visit Anitkabir, mausoleum of the founding father of modern Turkey, Mustafa Kemal Ataturk. The Anatolian Civilisations Museum houses the world’s finest collection of Hittite artefacts. Your tour concludes after breakfast when it is time to farewell new friends and travel to the air port for your flight home.